*Please note this is semester-long commitment! In this intimate studio setting, young artists work closely with teaching artists on a wide range of art techniques and materials while socializing and building a positive first-time community studio experience. A unique alternative to daycares and playgroups — this three-hour art session focuses on strengthening each child’s intrinsic connection to the visual and social world. Young artists first learn The Painted Cloud morning routine, and upon having it down, their self-motivated exploration expands exponentially. Our teaching artists specially curate art projects for this age group emphasizing on engaging sensory awareness and practicing fine motor skills as well as building vocabulary in art and socialization. Our studio habits include songs, movement, snack, and stories. Choice time is also an important component of our schedule. Young artists are given independent time to think, imagine, and develop personal interests alongside their peers. Teaching artists kindly guide young artists through dialogue with their peers and answering the open-ended question, ‘What do you notice?’. 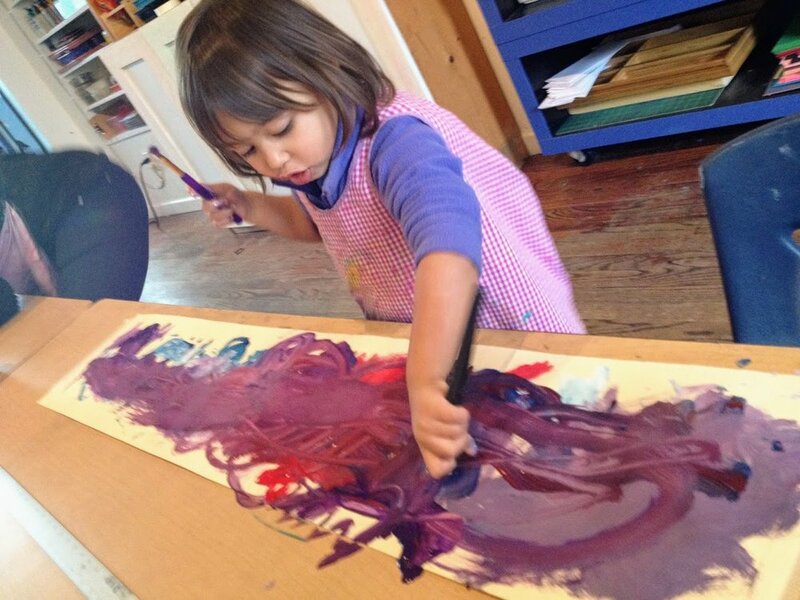 In art-making, teaching artists provide stimulating options and support to young artists’ explorations through a process and inquiry-based approach. Through painting, sculpture, printmaking, collage, textiles, and more, young artists take their first steps in a lifelong love for the arts while building strong communication skills and relationships.